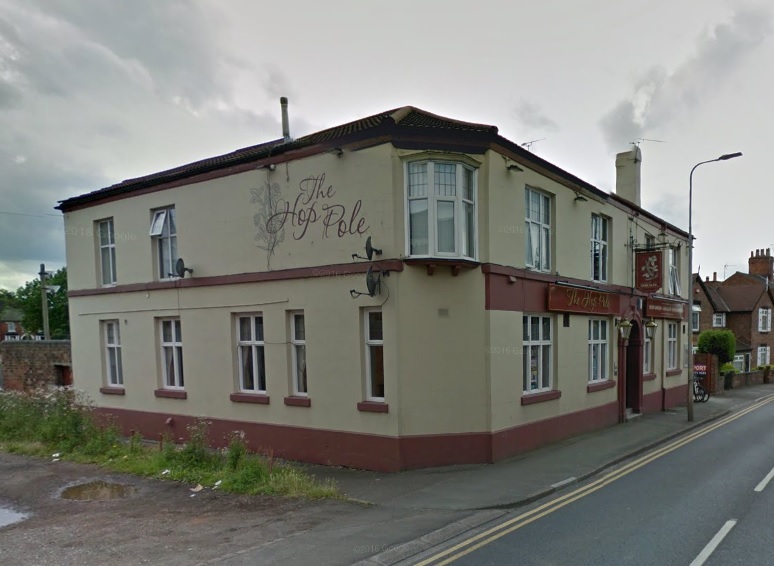 A bay-windowed street corner pub just east of Newcastle town centre on the main road to Hanley. Internally, it has been knocked through into one room, but retains a carpeted snug area to the right of the entrance door, together with a longer, wood-floored bar area to the left, both liberally provided with red dralon bench seating. Draught Bass is at the core of the beer range, alongside, on my recent visit, Doom Bar and Titanic Plum Porter. Not, maybe, an absolute unspoilt classic that people will travel miles to visit, but a fine example of that vanishing species, the cosy, welcoming local. 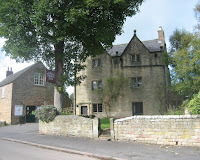 Stone-built pub in the sharp apex of two roads about half a mile north of the town centre. The cosy core of the pub surrounds the horseshoe-shaped central bar, with comfortable bench seating and a real fire on either side. There’s also a games room and a separate snug in the angle of the building which can be closed off for private meetings. Formerly a Timothy Taylor’s tied house, it still features Boltmaker and Landlord as permanent beers, alongside typically three guests. 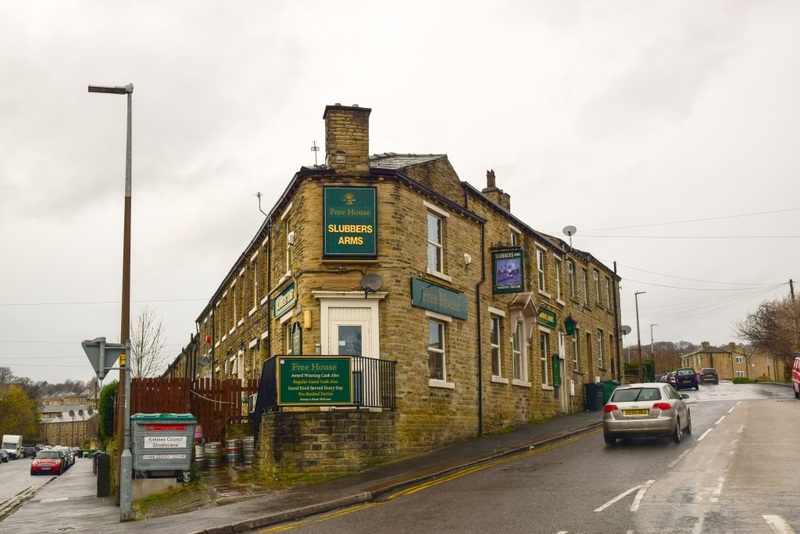 It normally doesn’t open until late afternoon, but may open earlier when there is a match at the nearby John Smith’s stadium, when straightforward pub grub may also be served. The name comes from a traditional wool processing technique. 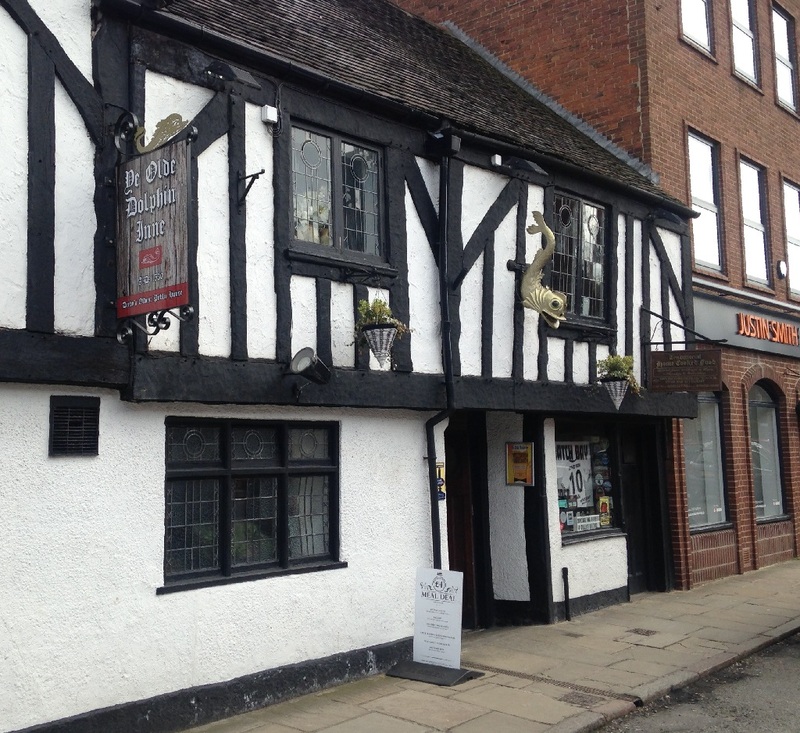 An ancient timber-framed pub at the north end of the city centre close to the Cathedral, it claims to be the oldest pub in Derby and to date from 1530. The interior was sensitively remodelled by local brewery Offilers in the inter-war period and is largely unchanged since, earning it a place on CAMRA’s National Inventory. A passageway running right through the pub gives access to four rooms – the front public bar with quarry-tiled floor, the adjoining “Offilers Room” at a slightly higher level, a comfortable lounge with a large inglenook fireplace and a delightful, cosy snug at the rear of the servery. There is also an upstairs room used as a steak restaurant in the evenings. Offilers became part of the Bass empire, and for many years the pub was a Bass stronghold. Draught Bass still features at the core of the beer range, together with Marston’s Pedigree and up to six other guest beers. Straightforward pub food is available lunchtimes and evenings. 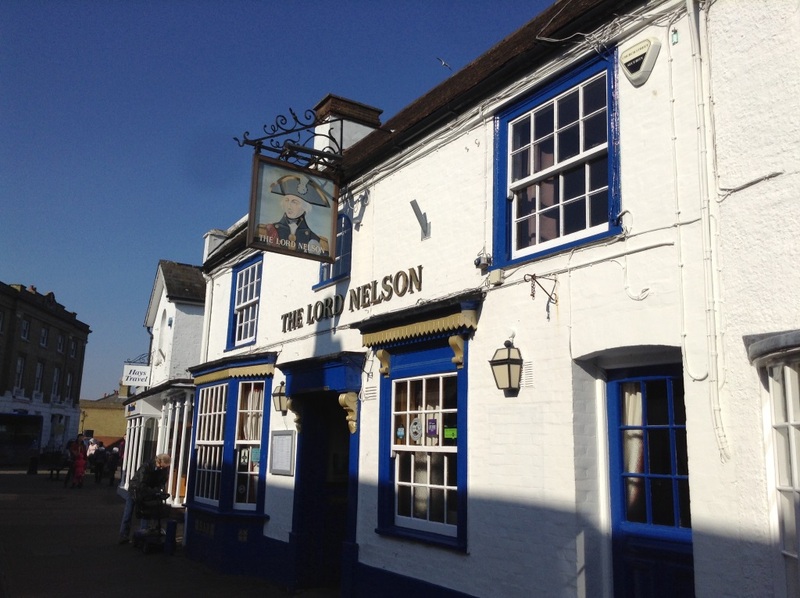 The Lord Nelson was converted from two cottages around 1800 and was named after the famous admiral after his victory at the Battle of the Nile. The pub has been part of the old settlement of Hythe for over two hundred years. It has two separate front rooms, each with access to a separate bar and a centre ‘snug’ room called ‘The Poop Deck’ which has panelled wood and glazed screens and a separate door off the hall corridor. This snug shares the bar with the left hand front room. 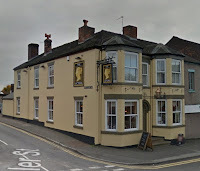 Though there is a large rear extension it does not detract from the original front part of the pub, which is all still quite original and it is on CAMRA’s National Inventory. The rear courtyard beer garden overlooks Hythe promenade with views of Southampton Water. 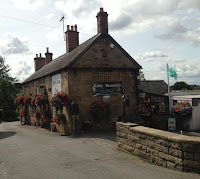 It is a friendly, lively and popular community pub and serves simple pub meals as well as real ales. 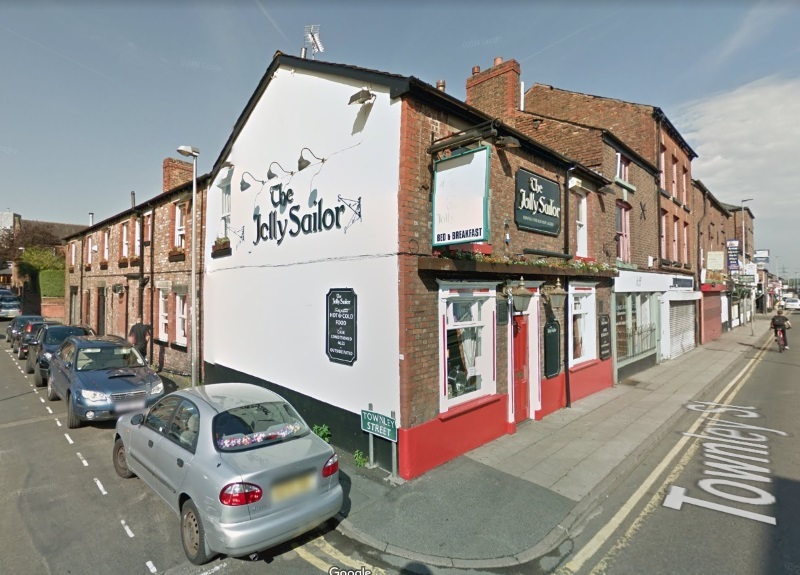 As it’s stituated on a pedestrianised street, there isn’t a clear image on StreetView, but it can just be spotted in the background of the linked view. A four-square corner local in an area of Victorian terraced housing to the west of the town centre, the Hop Pole is a splendid traditional multi-roomed pub, although a little bit of opening-out, including knocking holes in one of the internal walls, means that it only qualifies for regional rather than national status on CAMRA’s National Inventory. There’s a central bar with glass shutters, no longer actually in use, surrounded by a quarry-tiled public bar on the right, a front pool room and a long lounge at the rear with alcoves of comfortable seating upholstered in a bright tartan pattern. At the rear is a drinking terrace overlooking the bowling green, now a rare feature in pubs, which in the summer is busy with teams playing in various leagues. There are typically three cask beers available, including on my visit Bradfield Farmers Blonde, Moorhouse’s Pride of Pendle and Weetwood Cheshire Cat. A classic example of a welcoming, characterful community local. 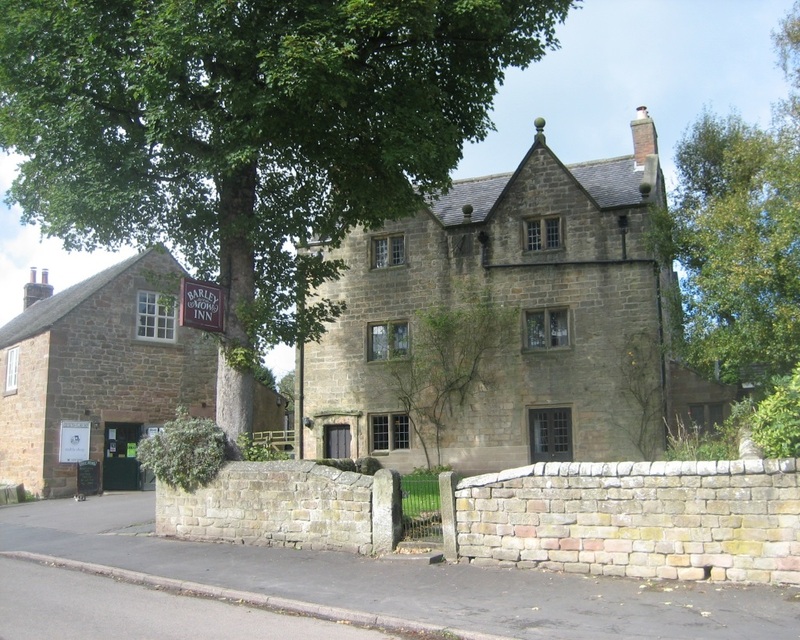 A historic 17th century stone-built pub in a quiet village on the southern fringes of the Peak District between Wirksworth and Ashbourne. The exterior, with its two prominent gables, resembles a small manor house. It may not look very open from outside, but if it’s within the scheduled opening hours (12-2 and 7-11 or 10.30 on Sunday), turn the latch and you should be able to get in. The interior, not surprisingly, features on CAMRA’s National Inventory, although some of the furnishings are more modern than they look. The heart of the pub is the main bar with its massive fireplace, quarry-tiled floor, wall benches and counter, not much more than a serving hatch, in the far corner. There’s also another room with a parquet floor, more benches and French window opening out into the garden. Hartington IPA, served from the jug, is stillaged in the cellar, with two or three guest beers in casks behind the bar. Food is limited to a choice of cheese or salami cobs. It’s a true old-fashioned character pub that makes no concessions to modern marketing gimmicks, but its fame means it attracts ramblers and other outside visitors as well as a core of regulars. A stone-built pub of considerable age situated on a narrow lane off the A6 south of Belper in the picturesque Derwent valley, with a superb unspoilt interior that earns it a place on CAMRA’s National Inventory. At its heart is a wonderful old snug formed from a quadrant of fixed bench seating with a glazed section filling the gap between the top and the ceiling. Next to this is the cosy main bar with dark beams and a quarry-tiled floor. There’s also a more a more conventional but still characterful lounge and a conservatory and beer garden at the rear. Children are not admitted to the main bar and snug. The permanent beer range comprises Greene King Abbot Ale, Taylor’s Landlord and Fullers London Pride on handpump, plus Marston’s Pedigree drawn from the cellar and served from a jug. There are also three changing guest ales, and the pub stages regular beer festivals throughout the year. There’s an extensive menu of conventional pub food, plus a variety of snacks including pork pies and cheese platters. 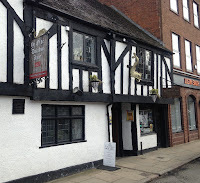 It’s a rare example of a pub occupying a stunning historic building that also excels in its customer offer. The pub only has a small car park, and apart from this parking nearby can be difficult – at busy times, visitors may need to go down to the “main road” a couple of hundred yards away. A street-corner pub in the lower part of the town on the busy Sunderland Street near to the railway station. In the 1980s, the interior was opened out somewhat, attracting criticism from a local CAMRA guide, but it has mellowed since then, and retains four distinct areas around the bar with a variety of comfortable seating. 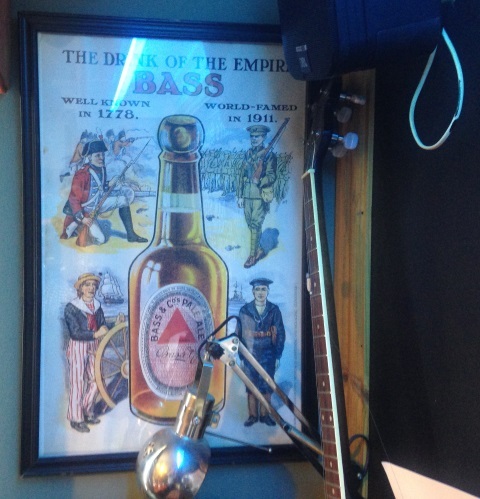 There’s an impressive collection of bric-a-brac and memorabilia including many photographs of old Macclesfield and the classic old Bass poster shown below. 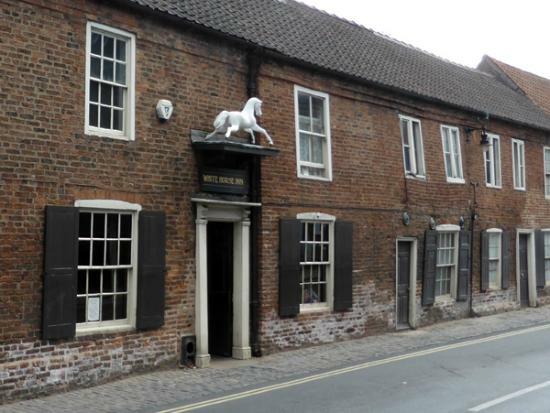 It was once the only Bass tied house in the town, and Draught Bass remains at the core of the beer range alongside Castle Rock Harvest Pale and Everards Tiger. There are also a couple of changing guests which are typically the more familiar beers such as Bombardier and Landlord. Food is limited to simple weekday bar snacks, but the upstairs function room doubles as a steakhouse on Thursday to Saturday evenings. It attracts a wide cross-section of customers and provides a proper traditional pub atmosphere in an area of the town where modern bars predominate. 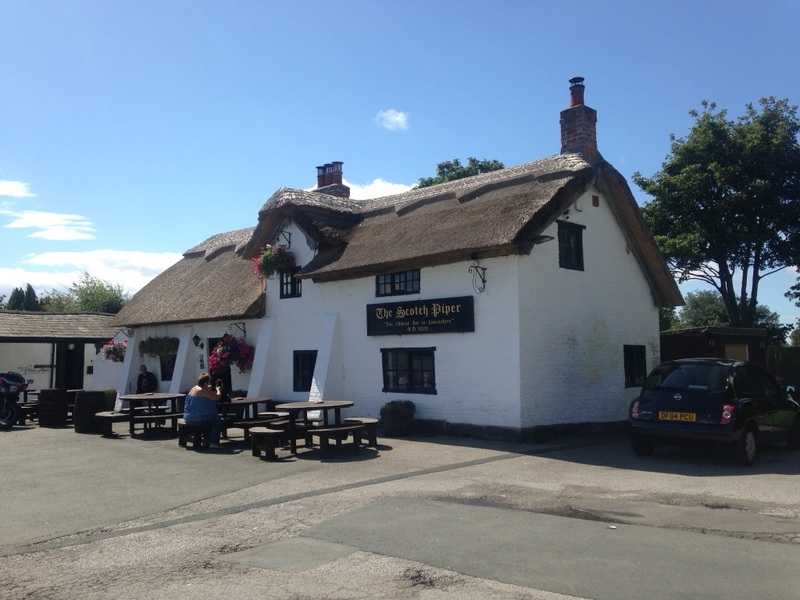 An ancient thatched and cruck-framed pub that claims to be “the oldest inn in Lancashire”, and features on CAMRA’s National Inventory. It must originally have been in a rural location, but has now been enveloped by nondescript suburbia on the northern fringes of Liverpool. The heavily beamed interior comprises three rooms – the cosy, wood-panelled area on the left by the bar, a central one with dartboard and old fixed seating, and a more modern but still comfortable lounge at the far right end, all warmed by real fires in winter. There’s also extensive outside seating, making it a good place to go out to for a drink on a sunny summer’s day or warm evening. On my recent visit, there were three cask beers available – Holts Two Hoots, Pendle Blond Witch, and a house beer called Piper 1320, the origin of which the barman didn’t know. No food is currently available. For many years it was a Burtonwood tied house, but is now owend by Admiral Taverns. The pub was recently badly damaged by fire, but fortunately has been restored to its former glory. Old pub in a wonky terrace at the north end of the town centre close to St Mary’s church. 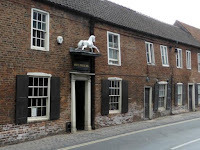 For many years, it was run as a free house by Nellie Collinson, from whom it takes its nickname, prior to its acquisition by Samuel Smith’s in 1976. At that time it was something of a timewarp pub; since then it has been somewhat improved and smartened up, but it retains an interior of great character, resulting in its inclusion as a main entry on CAMRA’s National Inventory. It still has coal fires, stone-flagged floors, gas lighting and a warren of small rooms surrounding the main bar, which is at the rear left. There’s even an unexpected pool room at the back on the right. There’s the usual range of Sam’s beer, at their usual good value prices, and lunchtime food is available. The only signage is the rocking horse and a small nameboard above the front door. Real pubs are pubs whose primary function is still the original core purpose of pubs – for people to meet and socialise over a few drinks. They may serve food, and very good food at that, but they don’t allow it to dominate to the exclusion of all else. They’ll probably have a strong core of regular customers, but still make casual drinkers welcome. They may well serve a good drop of real ale, but won’t be full of beer bores droning on about hop varieties and IBUs. In many parts of the country they’re getting very hard to find. In recent years, the smoking ban, beer duty hikes, the demonisation of “one-drink driving” and the general anti-alcohol climate have all had their effect, but such pubs do still survive if you know where to look and deserve to be celebrated. 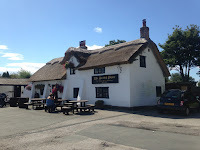 Although in many ways they are a laudable organisation, this blog is not connected with and does not in any way represent the Campaign for Real Ale. This blog depends on input from readers. If you have any suggestions for inclusion on this blog, please send a brief description and location and, if possible, a photo, by e-mail. The Highfield - The Highfield, Blacon, Cheshire Another characteristic inter-wars pub on a large housing estate on the western side of the city of Chester.